Translucent embossed squares of polyester film. 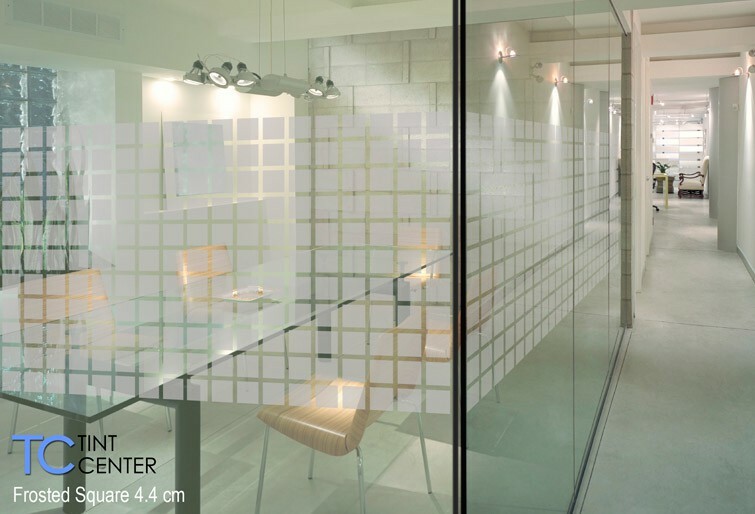 4.4 cm x 4.4 cm frosted squares separated by 1 cm clear lines. 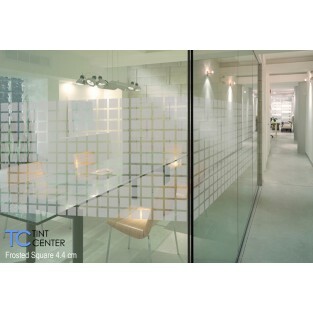 Semi-obscuring direct visibility and ideal for office, conference room, bathroom and bedroom. An design with wide range of applications.